Permission Text(s) and Read Me Text inside each skin folder. Vista Bug ll Windowblind by Jazzymjr. i download a lot of skins and kick most of them out eventually. 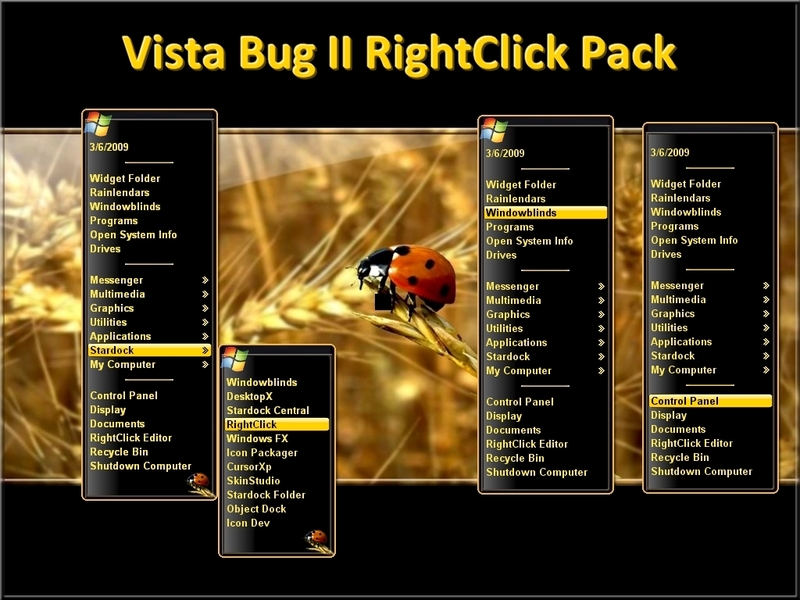 your vista bug plain is what i always look for in a skin and is one of the top 5 right click skins in my archive. masterful job, salud! Always wonderful work Karen. Fantastic skin! Thanks PJ ...hope you can use these . I need help! how do you add this to your computer? Please help! im verry stupid at this!